Phencyclidine, or PCP, is a drug used for its hallucinogenic and dissociative effects. It was once administered as an intravenous anesthetic. By the mid-1960s, the drug was discontinued due to its side effects. Although it’s still legal to produce PCP for laboratory purposes, the drug is often fabricated for street use, which can make the ingredients and effects unpredictable. Common names for PCP include angel dust, STP, wet, boat, animal tranquilizer, and a host of others. A person may take it in capsule, liquid, or powder form, and the drug can be smoked, ingested, or snorted. Signs of PCP addiction include side effects that negatively impact normal bodily functions. Many of these can last for a long time or even be permanent. The drug alters a person’s perception of what they see and hear, so they can seem delirious during a “trip.” They may become so paranoid and erratic that the side effects mimic symptoms of schizophrenia. In addition, many users have co-occurring mental health issues, whether these were present before addiction to PCP or exacerbated by use of the drug. An individual who is using PCP compulsively will do so whether they are aware of the negative consequences or not. They may go through periods of sedation and later seem irrational, aggressive, or angry. They can even become violent or suicidal. Physical signs to look for include dilated pupils, rapid eye movements, and rigid muscles. The drug PCP belongs to the hallucinogen class of drugs. Use of this class of drugs often begins due to curiosity as people may be looking for an “out-of-body” experience. Like other hallucinogenic drugs, phencyclidine alters perceptions, feelings, and thoughts. The user may see things that are not there. In general, PCP’s effects take hold in as little as 30 minutes when a person swallows it. Smoking the drug can reduce this time to just a few minutes. The user will feel the initial effects for up to six hours, and it can take a full 24 hours before they totally wear off, according to Medical News Today. Effects on the body, other than psychological changes, include an increase in pulse rate, breathing, and blood pressure. Body temperature may rise, and the person may also sweat, lose their appetite, and have uncoordinated movements. In 2015, the Substance Abuse and Mental Health Services Administration’s (SAMHSA) National Survey on Drug Use and Health found that about 1.2 million individuals 12 years old and up were using hallucinogens, such as PCP. It also revealed that 1.8 percent of individuals aged 18-25, and 0.2 percent of people 26 and older, were using hallucinogens. The signs of someone using PCP are highly visible, as are the symptoms associated with an overdose. A person’s mental state is the most indicative sign that they have ingested a large amount of the drug. Their state of consciousness may be so altered that they cannot function socially, cognitively, emotionally, or physically. Other symptoms of an overdose include convulsions, violent outbursts, rapid side-to-side eye movements, or a catatonic state. In high doses, injury, coma, and death are possible. Since one’s perception of pain is numbed, the altered state of consciousness can lead to unintended self-destructive actions. Overdose is considered a medical emergency. If you suspect someone is experiencing a PCP overdose, call 911 immediately. According to the National Drug Intelligence Center, long-term abuse of PCP can trigger a number of issues. These include memory loss, depression, and difficulty thinking or speaking. Weight loss is another possible symptom. In teenagers, phencyclidine interferes with hormones associated with growth and development. Changes brought on by the drug can also impede one’s capacity to learn. The central nervous system is stimulated by PCP, but high doses act to slow it down. Pulse rate, blood pressure, and respiration will decrease. Hyperthermia, kidney failure, muscle cell death, and over-activity of blood clotting proteins because of PCP intoxication can be fatal. Even if one stops using the drug, it can take a year before temporary issues are resolved. PCP was formally known as 1-phenylcyclohexyl piperidine, and it was synthesized for the first time in 1926, according to the Global Information Network About Drugs (GINAD). It was first introduced in the 1950s and marketed as an anesthetic pharmaceutical by Parke, Davis, and Company. The organization sold PCP under the trade name Sernyl. At first, PCP was accepted because it provided anesthetic properties without affecting the heart and lungs like other forms of anesthesia at the time. Surgical patients, however, began to show post-operative anxiety, psychosis, and dysphoria. Discontinued in 1965, the substance was restricted to only veterinary use, as Sernylan, two years later. Phencyclidine is now a Schedule III substance listed by the Controlled Substances Act. The U.S. Food and Drug Administration lists similar substances, the penalties for possessing them, and the legal threshold in terms of quantity. Phencyclidine first appeared as a street drug in San Francisco. In the 1960s, the Haight-Ashbury neighborhood became the center of a cultural movement embracing psychedelic drugs. Selling the drug in the US has been illegal since 1978. PCP use declined after the 1980s, but its use is on the rise again. Data from SAMHSA’s Drug Abuse Warning Network shows PCP-related emergency department visits increased from nearly 36,719 in 2009 to 75,538 in 2011. Males ages 25-34 represented the largest demographic, followed by females in the same age group and then males ages 18-24. An individual with PCP addiction should seek professional treatment. There is no scientific proof the drug is chemically addictive, but it is psychologically addictive. A person can just stop taking the drug, but medical assistance with recovery is advised, according to GINAD. Withdrawal symptoms associated with PCP and other psychedelic substances can be treated with medications such as Haldol. This medication is used to aid behavioral control. It can be taken orally or be injected into muscle tissue. Lorazepam is used intravenously but if oral ingestion is preferred, diazepam can be administered. Other medications used include Narcan to decrease the individual’s respiration rate and Valium to treat rigidity in the muscles, according to an Office of Alcoholism and Substance Abuse Services fact sheet. While medications may be used to address specific symptoms, therapy makes up the backbone of addiction treatment. A person needs to escape the habits and situations that got them into PCP use in the first place. This includes dealing with their thoughts, feelings, and associations with the drug. In therapy, the individual can learn to steer clear of acquaintances who use the substance, so exposure and access to it is limited. Individuals who habitually use the drug may have a history of trauma or violence in their lives. Some people use it as an escape from feelings related to past trauma. A recovery program should therefore address these co-occurring issues. Individuals may also use PCP to escape feelings of depression or stress. With the help of a professional therapist, a person can develop coping mechanisms that don’t involve drug abuse. With comprehensive therapy, the likelihood of relapse and returning to destructive behaviors can be decreased. There are a few causes and risk factors related to PCP abuse. These can be genetic, as there is believed to be a genetic link in regard to addiction. 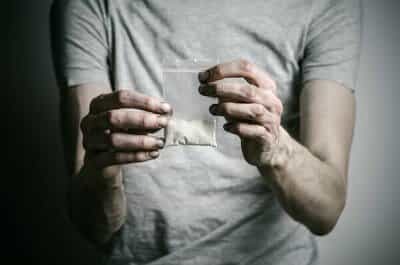 Environmental factors can also influence a person’s susceptibility to addiction, and these factors include being in the company of others who use PCP and having easy access to it. In 2008, over 20 percent of high school seniors in the US said they had access to PCP, in a U.S Department of Justice report on drugs and crime. Though PCP ranked lower than marijuana, amphetamines, and cocaine in terms of availability, a big chunk of teens have access to the drug, and this access extends into the adult community as well. If you recognize the signs of PCP abuse in someone you love, it’s important to get them help promptly. Early intervention is the best way to avoid lasting effects that can impact every part of the person’s life.